TRAINING BASICS Before you can start with any real preparation for an event, you should have the basics in place. The below is a list of items that you need to consider in order to prepare for a successful event. If you do not have enough knowledge of the above, make an appointment with one of the Breakaway Rides experts, who will be able to take you through the basics and provide you with a structured program. 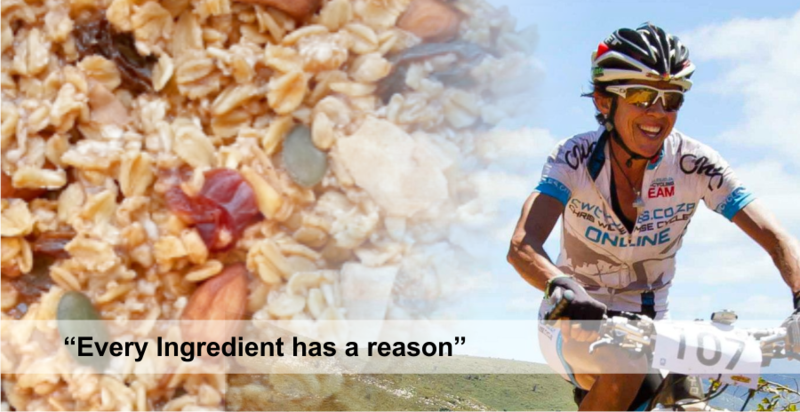 Hannele’s food brand Passion 4 Wholeness offers a variety of health mueslis, porridges and snacks on the go. For more info, view her site passion4wholeness.co.za or contact her directly on passion4wholeness@gmail.com.